So as we try and use up our plantains creatively, I can’t help but wonder if it’s possible to overdose on plantains. 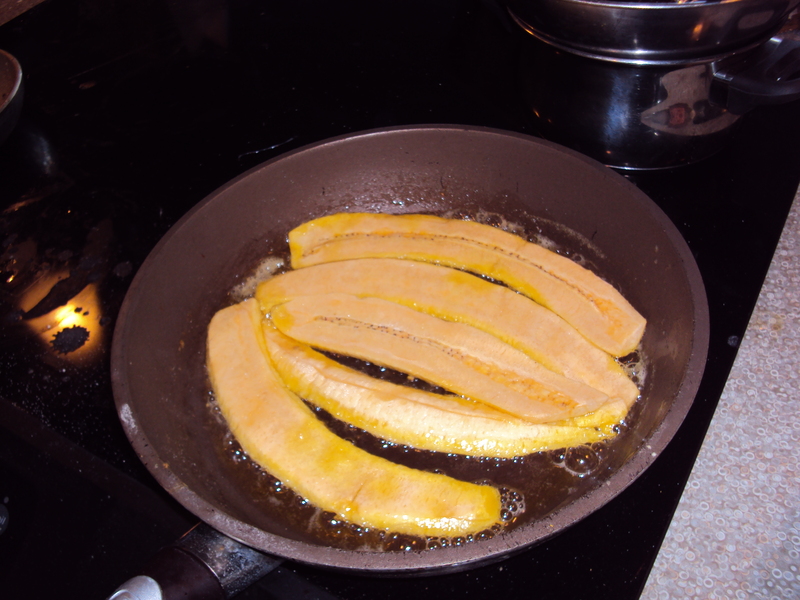 Yesterday it was plantains for dinner, plantains for dessert (keep reading for details!) and today I am going to try a baked plantain and peanut butter sandwich. 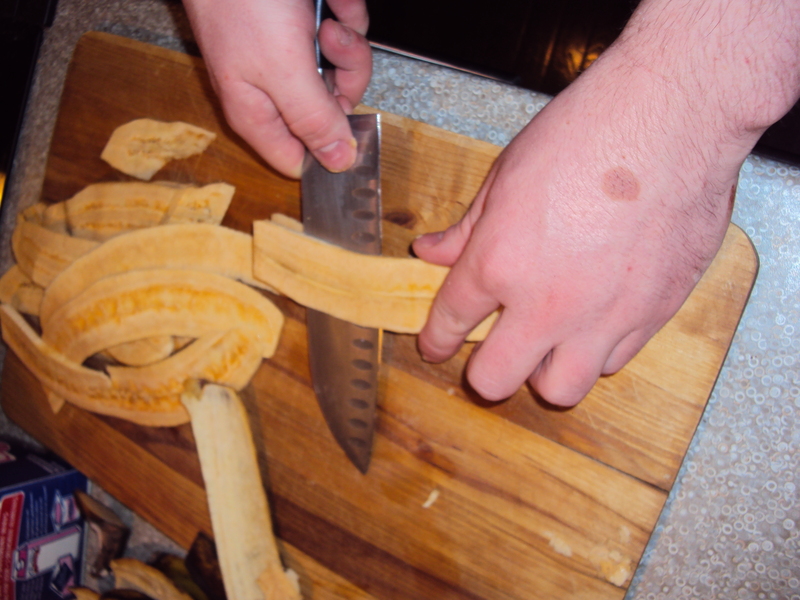 Luckily, I got used to eating plantains everyday a few years ago when I spent a summer in Costa Rica – where it was fried plantains for breakfast, lunch, snack, dinner, snack, etc. For dessert last night Tim made ‘Plantain’s Foster’, and while it could have used a nice scoop of vanilla ice cream or some raspberries for a garnish, it was still amazing nonetheless. After the slicing and dicing, we fried ’em up in a few tablespoons of olive oil. 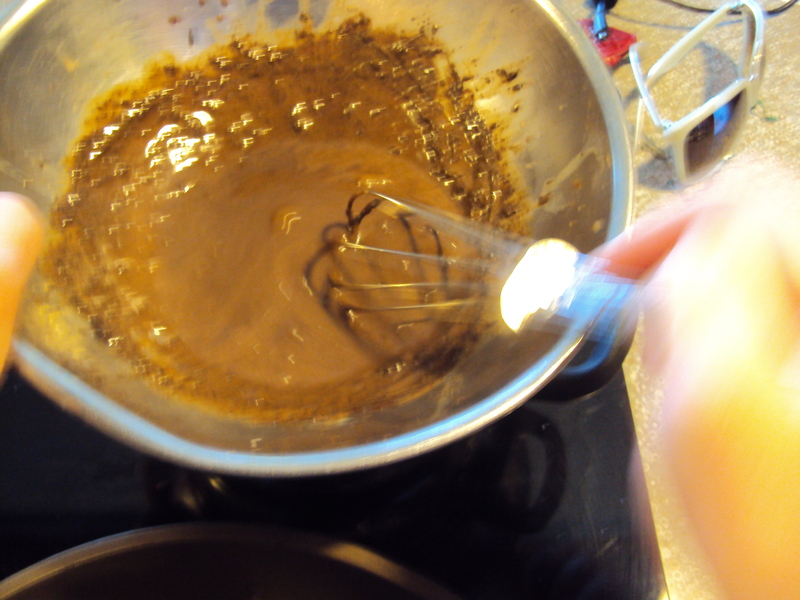 We also made caramel, but it’s not pictured. 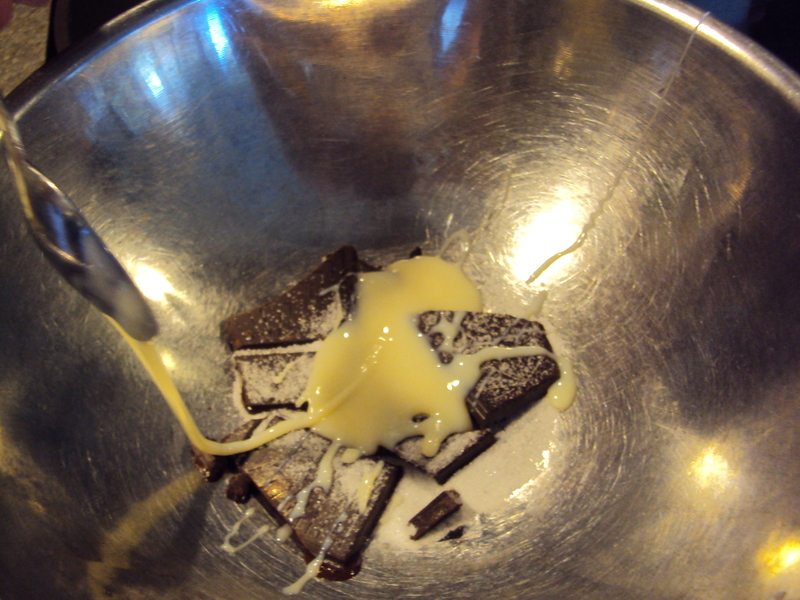 We used water, sugar and a splash of milk. 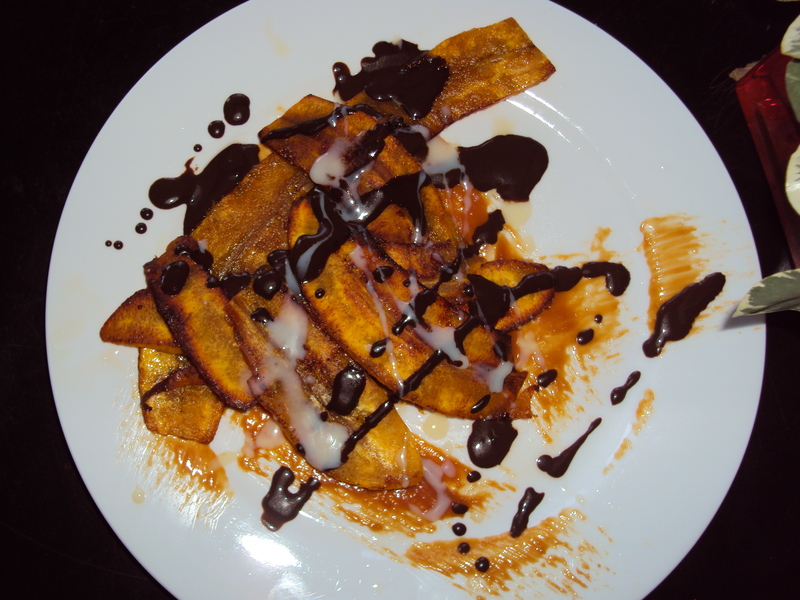 A delicious pile of crispy plantains, chocolate and caramel. Yummmmy! Do you guys have a blender? 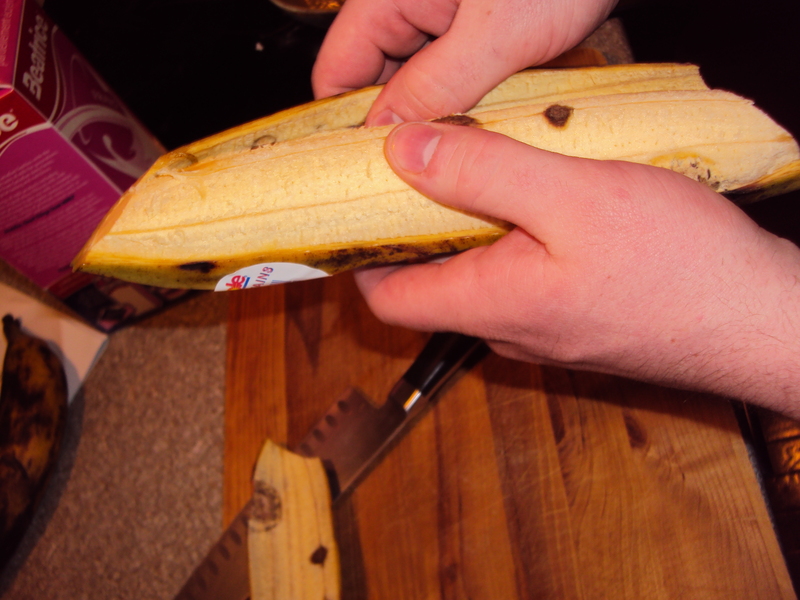 Some sort of plantain smoothie would be good. Lately I’ve been making smoothies with apple juice and bananas and it’s crazy how good they are with just those two ingredients.